Feeling scattered and off-centered? Join me for this special, one time yoga class focusing on the ajna chakra. Clear your mind and build equanimity to cultivate intuition, focus and concentration. Specific chakra aroma, crystalline sound, grounding yoga poses, and working theta and alpha brainwaves create the foundation for our practice. Visualization, mantra, and pranayama will be directed at stimulating the visionary, intuitive and even psychic capabilities of the 3rd eye or ajna chakra. With the inspiration of spring right around the corner, let’s get clear to embrace what’s next! ​For more info 520-366-1641. I kindly ask you to please RSVP with a Private Message here, or text me, so that I can better plan the class. Saturday March 10th @ Club K, Bisbee AZ $15. Join Marnie Mills, RYT, and sound alchemist, Valerie Irons, for a heart opening, back bending flow designed to open and activate your chakras ~ energy centers of concentrated consciousness and the portals for higher consciousness. This is an energy healing workshop harnessing the vibrations of aromatherapy, sound healing, and yoga as you explore your chakra system. Poses are suited for all levels from easy to challenging, so you can give yourself exactly what you need. Marnie will lead an active practice emphasizing: pranayama, chakra meditation, visualization, form and alignment connected to your breath. This practice will activate and move life-force energy (prana) through your body stimulating and balancing the chakras. 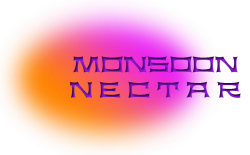 Specific Chakra Aromas (pure essential oil blends by Monsoon Nectar) support the 7 major chakras affecting the limbic system (mood or feel good center in the brain) for better health and well-being. ​Afterwards, we will serve tea and sample more aromatherapy.